We have done a short answer (SA) and a long answer (LA) format for those of you who would like a quick answer and for those of you that would like your questions answered in more detail. 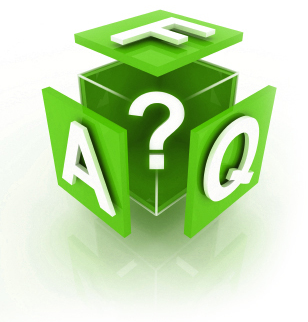 We hope our handyman FAQ will help you answer any questions you may have. Q. Why choose Odd Job? (SA) We at Odd Job take pride in being different than any other handyman services, at Odd Job we focus on providing great experience, from the moment you call in. (LA) You’ll talk to our live customer care manager Daniel who can answer as many questions you can ask about services, pricing, and our company. If you have to leave us a message we will get back to you within 24 business hours. Our handyman are trained in our Odd Job academy, insure with $5 million coverage + WSIB, our handyman are also one of the friendliest around. Our personable crews arrive on time in our fully stocked mobile workshop, ready to tackle your project the first time. (SA) No job is too small, we have been called to change that hard to reach light bulb, un jamb stuck doors, or complete that never ending to do list. (SA) We offer free online estimates. If we send a member of our team out to conduct an estimate on site, there will be a inspective fee. (LA) To get your project done sooner send us a email with a few images, sizes, shapes, and a description of the work to be completed, we can create a well rounded estimate and send it to you for you to review. For bigger projects we provide onsite estimate. However multiple variations on the same job are subject to additional fees. (SA) Our service area can be viewed here. It is superimposed on a map as a green circle. (LA) We fully service the Toronto area from the D.V.P, Danforth/beaches to the east, HurOntario to the west, Sheppard to the north. For services outside our area a minimum of a half day of work is required. Call for more Details. Q. Does Odd Job have a guarantee? (SA) Yes, we have an industry leading one (1) year handyman guarantee. (LA) At Odd Job we recognize that your home and business are your most valuable asset. We offer one (1) year hassle free guarantee on all workmanship. If something goes wrong due to installation errors we will fix it free of charge. We offer a ninety (90) day guarantee on all repairs and maintenance performed be Odd Job. (SA) Yes we do, they are usually booked a few weeks in advance. (LA) We do work weekends and evenings as our life does not always allow you to be home during workday hours, no problem were happy to come after work or on weekends. As well some projects may require more time than others to complete. Weekends can be booked with 50% labour premium and are often booked weeks in advance due to high demand. Evenings are considered jobs that begin after 5 pm. And are subject to a 30% labour premium. Q. Do you provide materials? (SA) Yes and no! It depends. (LA) We do not provide finishing materials such as faucets, tiles, light fixtures, curtains and rods or any other finishing grade materials. As a general rule we can however pick up you finishing material if we are sent information such as a link to the product which includes the name, colour, and size of your item a small sourcing fee may be applied. We do supply all construction grade materials for your projects. Q. Is Odd Job licensed and insured? (LA) Yes we carry all provincial, federal, and municipal licenses. We are fully covered by WSIB and carry $5,000,000 in general liability insurance. We regularly offer our clientele special offers, discounts and promotions (such as our Handyman Coupon) on various aspects of our work. Please carefully review the terms of all promotions. Unless otherwise stated, we do not allow our clients to combine discounts or promotions at this time. Please note that you are only eligible for one discount per bill. Q. Do you have the required tools for the job? We arrive in our fully loaded mobile workshop ready to tackle almost any job the first time. (SA) We would like to refer you to our rates and payment page. (LA) Project rate may depend on scale, volume and difficulty can be priced by the hour, the day or the project. We also offer commercial rates for commercial property maintenance, repair, or decorating requests. Q. How many crews do you send? (SA) 1, 2 or as many as you need. (LA) While many handyman companies send one tradesman to a project, causing your job to last for hours, days, and even weeks longer than needed. We at Odd Job have teams of 1, 2, 3 and even more in needed. The scope of your project and how quickly you want your project done determines how many crew members are needed. Often a crew of two is sent to get the job done, in the most efficient manner. (SA) Visa, MasterCard, Cash, and E-transfer. (LA) First time clients must provide credit card information to secure a booking. You are not billed however in the event of a cancellation, less than 24 hours of advance of a booking or a no show, your credit card may be billed a cancellation fee. Q. Are your handyman trained? (SA) Yes, at our handyman academy. (LA) At the core of our training practices is hiring individuals that fit with a culture of quality, consistency, and courtesy. All employees are trained to provide great customer service, and be considerate of you space at all times. Prior to hiring, our handyman must have received post-secondary training in their primary skill set, and completed accreditation’s such as, trades licenses, certificates, and diploma in their respective skills. Handyman are trained specifically in all aspects of home repair, maintenance, services like: drywall, carpentry, electrical and plumbing and repairs. Thank you very much for reading. If you have any further questions, feel free to email us at help@oddjob.ca or call us at (416) 520-1161.